John Urquhart, having some medical training, came to Oakville to help with a cholera epidemic and opened his 'Medical Hall' in 1835. This was a combined medical practice and drug store. His son, also John, was a qualified medical doctor who carried on the business until 1933, a total of 98 years. 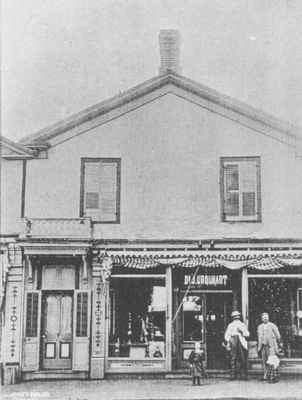 The Medical Hall was located at 182 Lakeshore Road East and is now home the shop, To Set a Table. 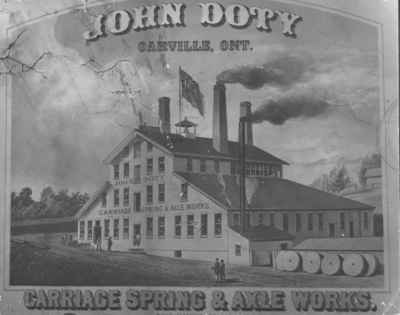 This 1869 advertisement for Doty's Carriage Spring & Axle Works shows the grandeur of this large foundry/factory. It was located on the North West corner of Colborne Street (Lakeshore Road) and Forsythe. 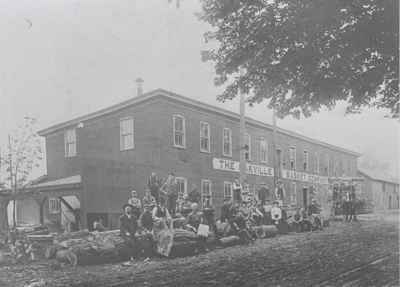 This circa 1890 photograph shows some of the workers of the factory of the Oakville Basket Company sitting on logs outside of the building. 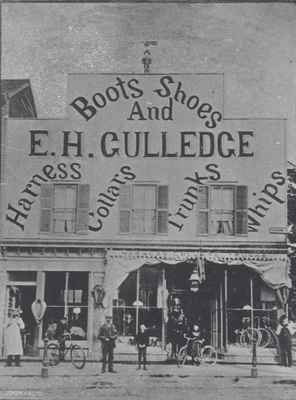 Edmund H. Gulledge (1851-1947) offered patrons a wide variety of wares including Boots and Shoes, Harness, Collars, Trunks, and Whips. This 1897 location on the South East corner of Thomas Street and Lakeshore Road burned down circa 1910-1915 and Gulledge moved back to their original location at 194 Lakeshore Road East. The lot remained vacant until 1921 when it was purchased by the Bank of Toronto (TD Bank) and TD sold the building in 2001. It operates today as Silkeborg. 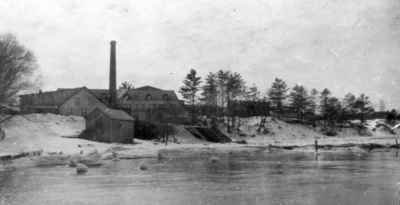 Marlatt's Tannery operated on Sixteen Mile Creek. This photograph shows the tannery in operation circa 1900. 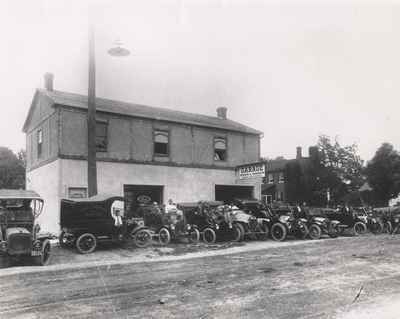 In 1911, this building became the Oakville Garage and Car sales agency of Robin and Bath. It was formerly a section of the White Oak Hotel moved to make way for Knox Presbyterian Church. This view from 1912 shows an impressive array of motor vehicles including the grocery delivery truck of J.L. Hewson, grocer.